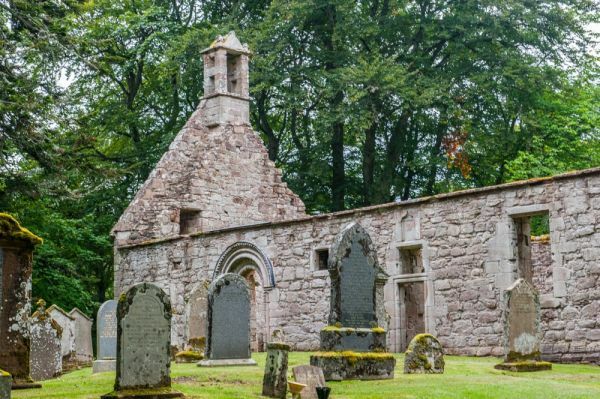 Scotland is not blessed with many surviving medieval parish churches, but the old kirk at Auchindoir is one of the best. 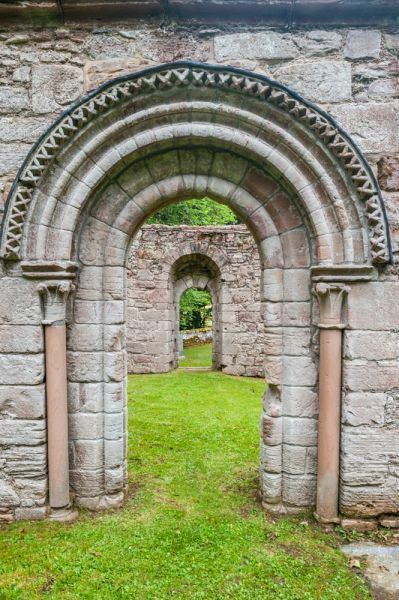 St Mary's dates to the 13h century, and boasts a lovely 14th-century sacrament house, and a wealth of beautiful Romanesque carvings, particularly those on the doorway. 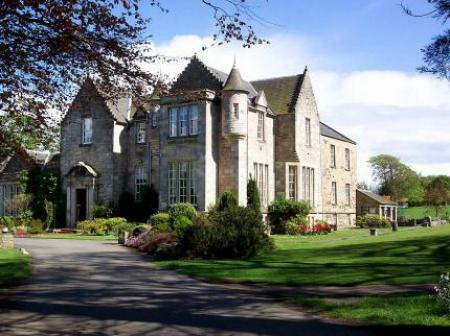 The building was remodelled in the 16th and 17th century, but it has stood as a roofless ruin since around 1810. The church is situated beside a castle motte and is very striking with its walls of pinkish stone. 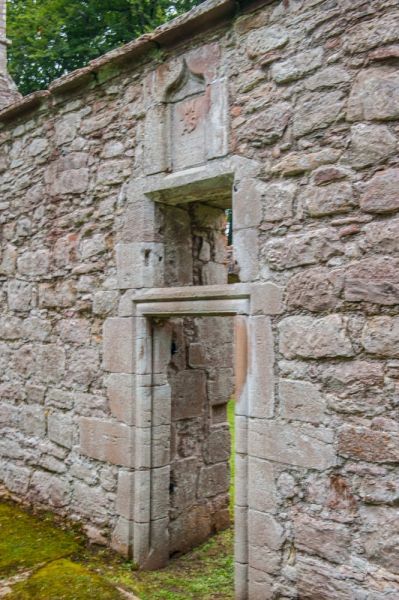 Of equal interest is the 16th-century sacrament house set into the north wall. 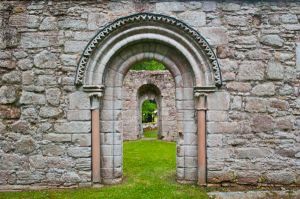 Sacrament houses were built to hold the consecrated host and were a common feature of late medieval Scottish churches. Because of the Scottish Reformation, few sacrament houses have survived, but Auchondoir's example is one of the best. This is shaped like a monstrance (a holy vessel often used to hold the sacrament or even saint's relics). 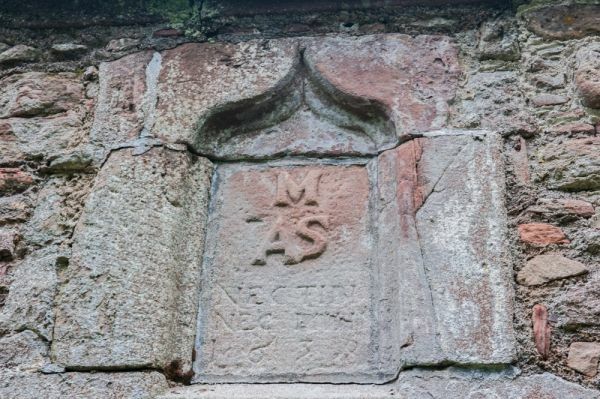 Above the niche intended to hold the host is a crucifix with a Latin inscription which may translate as 'This is the body of Our Lord Jesus Christ of the Virgin Mary'. At the base of the crucifix is a carved skull, a reminder of human mortality. 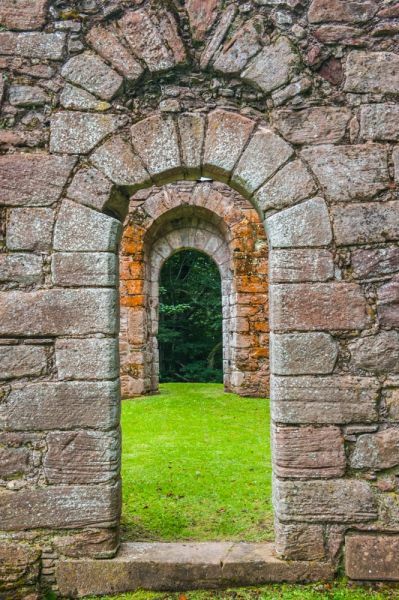 The sacrament house may date to 1513 when Auchindoir became a prebend of King's College Chapel in Aberdeen. 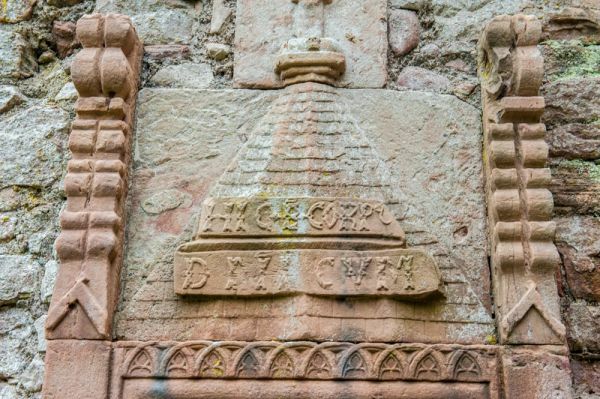 It is surrounded by carvings of family crests, including that of the Gordon family, so it is certainly possible that they had a hand in paying for the sacrament house to be erected. Original panelling rescued from the church was later used in the nearby farmhouse and at Clova House. 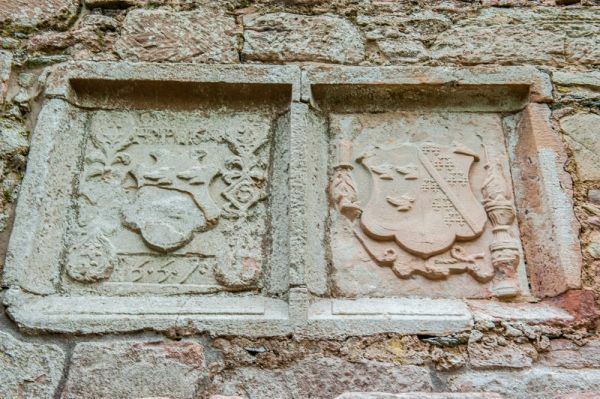 In addition to the sacrament house, the interior also has a finely carved crest of the Gordon family of Craig, dated 1557, and a grave slab of 1580. The other impressive feature of St Mary's is the moulded south doorway arch, a beautiful example of craftsmanship. The doorway dates to the late Norman period and is decorated with traditional Norman chevron mouldings. Auchindour church was used until 1810 when it replaced by a more modern building nearby. A short walk to the west of the church is a holy well also dedicated to St Mary. Water from the well was thought to cure toothache. Interestingly, the chapel at Crosskirk in Caithness is also dedicated to St Mary and also has a holy well nearby. I found St Mary's to be a wonderfully peaceful place, one of those ancient sites that just have a certain something about it that makes it special. The sacrament house is beautifully carved and well worth visiting.